QMS is dedicated to delivering quality SAP solutions for all of your manufacturing requirements. We have broad experience throughout the industry and have used that experience to develop our “Solution Set” offering of “Best Practices” for the implementation of SAP and other consulting services. So, what are your specific needs? QMS offers a wide range of business, technology, process, and strategy consulting services. Over the years, we have delivered and ensured SAP system success for organizations of all sizes and industries. We’re helping companies everywhere take advantage of quality management software. Our methodologies, combined with our expertise and experience is developing QMS into the industry leader. QMS is also widely held as the Global Leader in Quality Management. From infrastructure planning to application implementation to process reengineering, QMS has the ability and the experience to support organizations through a diverse set of solutions and offerings. Whatever your SAP objectives might be, we are here to help you deliver on them, regardless of application or industry. When it comes to SAP, every company has unique needs. Whether you manufacture food products or piping equipment, you require specific solutions tailored to your business objectives, budget and growth requirements. As a full service SAP consulting firm comprised of the very best quality management consultants, QMS develops highly profitable SAP solutions for our clients. In fact, QMS has been actively involved in the Life Science Industry (Medical Devices and Pharmaceutical Manufacturing), Food and CPG, and Discrete Manufacturing and the High Tech industry for many years, providing companies with the exact SAP solution they require to get the job done right every time. Its quality management software done right by consultants who know your business. Our SAP solution sets extend beyond the traditional core applications. If you are a manufacturer, you know you need to produce the highest quality products at profit margins that can be justified. The challenges are clear: Customer, market and competitive conditions are always moving. In order to meet these challenges, you need to ensure your manufacturing operation is performing at peak efficiency. And you have to be flexible to adjust to the challenges you face. Is your manufacturing software solution working for you or against you? With any manufacturing environment, there are many complex issues that need to be addressed to drive cost reduction, increased quality, and improved responsiveness. System “A” affects System “B”, which in turn impacts System “C”. Everything is interrelated. System dependencies exist and need to be looked at. With QMS SAP consulting, you can make the manufacturing improvements you need to make a real difference. If you are managing manufacturing operations, you need a comprehensive solution. You need SAP. Utilizing the power of SAP, QMS will help you maintain peak efficiency for your manufacturing operations. We’ll review your business needs, provide a recommendation for improvement and go to work on implementing a customized SAP solution for your operation. Quality Management is where QMS shines. No other SAP consulting firm comes close to our wide range of QM expertise. With a robust quality management focus, your operation can drive product quality and ensure a consistent, standardized approach. Our ultimate goal? To improve your quality processes while reducing costs through timely detection, analysis, and resolution of existing quality issues. Depending on the specific needs of your project, QMS will review non redundant master data, integrate inspection planning with applications such as purchasing and production, intervene to solve problems by enabling statistical process control monitoring during manufacturing. We’ll also document product quality for regulatory compliance issues and ensure comprehensive processing of complaints and requests within the system. Our quality management services also helps to satisfy the criteria for ISO 9000 and Good Manufacturing Practice (GMP). We’ll lean on the power of the SAP software to evaluate your processes and products for strengths and weaknesses. We’ll look for opportunities for improvement across your manufacturing environment. The mission? To uncover the hidden areas of potential and prevent possible issues before they happen. SAP is used by thousands of companies for streamlining warehouse management activities. Whether you are dealing with inbound and outbound processing, facility management and storage, physical inventory or planned cross docking, QMS can assist with optimizing the environment. From radio frequency identification (RFID) to voice and new workload balancing tools, SAP includes key data collection technologies that can maximize inputs and outputs. In a warehouse environment, it’s all about speed and effectiveness of inbound and outbound processing. To make it as efficient as possible, you need to find a way to reduce the number of steps and bring automation to your operation. Utilizing RFID technology, you can receive and process goods with a single radio frequency scan. You can also capture detailed and overview information, including process details of inbound deliveries. Outbound processing can leverage RFID technology to manage distribution and proof-of-delivery activities. These are just some of the ways that our eQMSRR solution can help our clients achieve the quality results they desire. Your results recording must be managed properly so that your business has the ability to go back and examine the way it has dealt with problems or implemented solutions to allow the operation to grow and stay successful. At QMS, we are experienced in making sure that your results recording goes smoothly, through a combination of careful attention to your needs and an extensive history with this feature in SAP. Utilizing SAP’s Environment, Health and Safety Compliance Management module, you can manage specifications for manufactured and procured products. Whether your company produces potentially hazardous materials or you are being asked to track health concerns and other facility risks, SAP can provide you with the information you require. With increased attention and oversight into the EH&S areas, its critical to have the data you need to make the right decisions. SAP gives you this power. QMS ensures it’s implemented correctly. In the manufacturing and warehousing environment, knowing inventory and product levels is critical. SAP’s industry leading auto-ID technology can help you track your logistics and fulfillment management processes, assets and more. QMS can assist with any aspect of your SAP system in this regard. And then there’s the supply chain: It’s a complex environment for any company. The goal: To continually monitor the supply chain in order to identify potential issues before they become a problem. The SAP Event Management application provides the ability to manage every aspect of your extended supply chain. If your seeking improved performance, SAP can get you there, whether it’s in risk mitigation, increased customer satisfaction, reduced costs, or more effective collaboration across the enterprise. And QMS can support your efforts, whether you are new to the Auto ID and event management applications or are looking to improve your existing knowledge. Just as we find ourselves in an ever-increasing inter-dependent global economic environment, so to is the manufacturing environment of most companies. Trying to find synergies and areas of cross application has become an essential part of business strategy, regardless of the industry or product/service. SAP CA (Cross Application) is one of the functional application modules in SAP. It handles cross application business processes in Sales and Distribution and Materials Management like third-party order processing, Cross-company-code sales, Stock transfers within a company code, Cross-company-code stock transfers, Subcontracting, Advanced Returns Management and more. 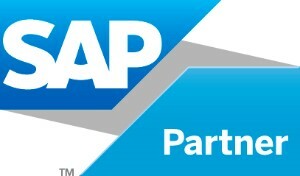 QMS can assist in reviewing the SAP Cross Application opportunity for your facility.